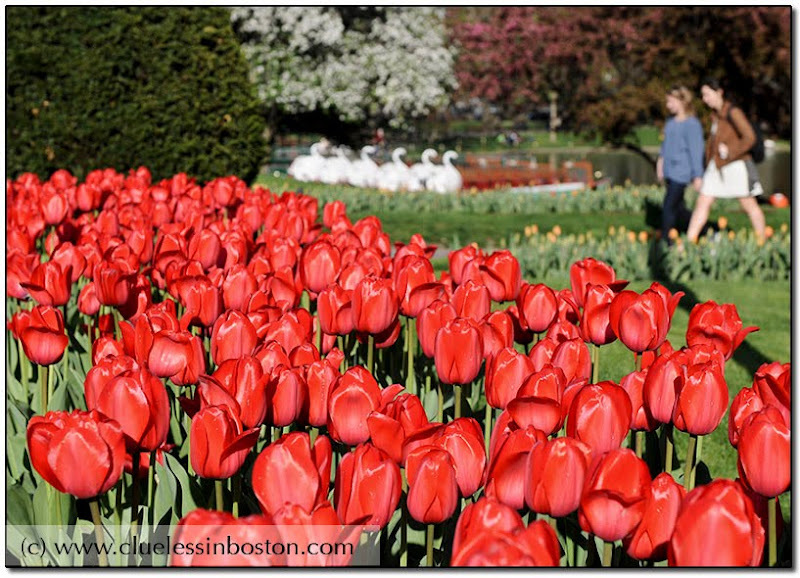 Even though I have now seen thousands of tulips during my lifetime, I still appreciate their springtime beauty! Oh what beauty and bounty! Your April showers have indeed brought May flowers. When I lived in Washington I enjoyed driving past and occasionally visiting the Tulip Library near the Tidal Basin. It had beds of different colored varieties of Tulips. this is like a geometric tapestry with distinct fields of color. Gorgeous. I never grow tired of tulips in the spring. What could be a better title from New England!! Stunning photo!! Yay! Summer is finally here!!! Now that is some gorgeous color! This post and the previous one really fit together...May showers bring spring flowers...boy and do they ever...so incredibly beautiful! April showers brought some incredible May flowers to Boston! Lovely! Did you meet any of the Parisien CDP bloggers during your vacation? This is such a classic, Clueless. Don't you love the spring after a hard winter? They look all shiny and new. Are those real swans in the background? !